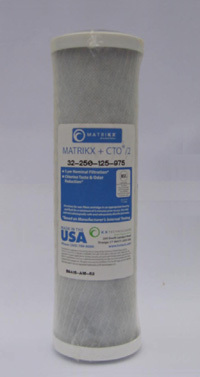 KX Matrikx carbon block cartridge. Nominal 0.6 micron rating. Reduces chlorine taste and odour, dirt and sediment and volatile organic compounds. 20 x 4.5 inch. For detailed information please follow this product link to the KX Industries website.